Since May 2014, Mills College’s non-tenured faculty has unionized in order to fight for better working conditions and fairer wages. Now, more than a year later, the bargaining team, who was assigned to get the adjuncts better contracts, believes it is near a deal with the College. Currently the bargaining team for adjuncts is working with a committee set up by the Mills administration to negotiate the terms of a new contract that will better serve the needs of the union members. The team is made up of three Mills adjuncts: lecturer of Chemistry Sandra Banks, Visiting Assistant Professor of English Bula Maddison, and Visiting Assistant Professor of English Stephanie Young. With the team is a Service Employees International Union (SEIU) representative who assists in strategizing for the meetings. Working opposite of the bargaining team for the union is the team representing the administration, which includes Interim Provost Sharon Washington and an attorney representing the interests of the College. According to Maddison, the space at the bargaining table has been extremely civil, and at times even friendly. When Mills’ adjunct faculty voted to unionize, they created a list of several improvements they wanted in order for job security. According to union spokesperson David Buuck, the union is bargaining for fairer compensation, better benefits, job security, the ability to govern themselves on campus and career advancement. Because non-tenured faculty are paid by the course, if a class is canceled due to low enrollment then it can leave professors scrambling financially. “Some people just can’t afford being an adjunct,” Buuck said. Many members of the union are less concerned with wages and more concerned with being recognized for their commitment to Mills, Buuck said. Because of their commitment to Mills, he and the union feel the adjuncts deserve to have a better sense of job security. “Adjuncts are sometimes considered replaceable,” Buuck said. Non-tenured track faculty typically have contracts of one year, but the bargaining team is working so that adjunct faculty with more seniority have three year contracts. They are also stressing the need for cancellation fees being paid to adjuncts if a course is cancelled late in the semester. Buuck believes that with more job security, adjunct faculty will feel like a part of Mills. Both Maddison and Buuck said the contract being drawn up will be beneficial for everyone at the College. With better faculty working conditions, it makes for a better learning environment in which students do not have to worry about whether or not their professors will be gone the next year, according to Buuck. Maddison believes that if ratified, this contract will help students, as well as faculty, by showing them their adjunct professors are in a place of stability and being treated at a fair standard. In addition, Madison said this contract will “level the playing field” between departments, making sure that all adjuncts will be paid the same. Negotiations between the bargaining team and the administration will continue throughout the Fall 2015 semester. According to Maddison, they are aiming to send the contract to the union for a ratification vote the week of Nov. 30, with hopes of having a fully ratified contract by the end of the year. 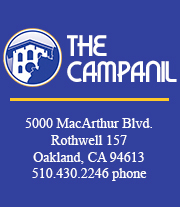 The Campanil reached out to the Provost’s office, but due to meetings they were unable to provide a statement. Updates will continue as the date for the ratification vote gets closer.